Each generation seems to have at least one historical event that they so vividly remember, they can tell you where they were when it happened. I was in math class when the Challenger exploded. I was on the way to drop my two oldest off at preschool on 9/11 when the first plane hit. And I was at my family's summer cottage watching my baby son bounce in his Johnny-Jump-Up when I heard that Princess Diana had died. My mother and I watched that desperately sad funeral on an ancient TV with poor and intermittent reception. The worldwide reaction to her untimely death certainly proved she was the People's Princess and the Queen of Hearts even if her divorce from Prince Charles had rocked the British monarchy in a way not seen since Edward VIII's 1936 abdication to marry American divorcee Wallis Simpson. 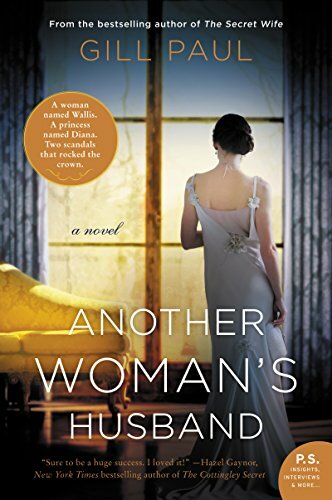 Author Gill Paul connects these two very different women, each of whom had a lasting effect on the British monarchy, and connects them in her latest novel, Another Woman's Husband. Vintage clothing store owner Rachel and her boyfriend, documentary film maker Alex, are in Paris and have just gotten engaged when they come upon a terrible car accident in the Alma Tunnel on their way to dinner. They are stunned to discover that one of the car's passengers is Princess Diana. While Alex tries to help and comfort the trapped princess, Rachel tries to disperse the paparazzi who ghoulishly continue to photograph the crash and the injured princess. As Alex and Rachel finally leave the scene of the accident, Alex bends down and picks up a small platinum heart that must have come off of the princess' bracelet, giving it to Rachel to hold for safekeeping. After their return to England, Rachel is confronted with a break-in at her shop that she's not sure she can weather financially and Alex decides that he is the perfect person to film a documentary about Diana's death, especially now that certain aspects of it don't seem to add up to definitively calling it an accident. Rachel's financial woes and Alex's single minded absorption by the film, despite Rachel's misgivings about the ethicality of some of his methods, start to cause stress and unhappiness in their relationship even as their wedding draws closer. Alternating with the story of Rachel and Alex's strained relationship, is the story of Mary Kirk. When she is a young girl, she meets Bessiewallis Warfield at summer camp and then again later at school. She and the teenage Wallis become best of friends even if Mary feels consistently outshone by her flirtatious and outgoing friend. Mary is there for Wallis through their debutante year; when Wallis marries a glamorous, and it turns out alcoholic, pilot; through her disastrous divorce, through the deaths of Wallis' stepfather and then mother; she introduces Wallis to her second husband, Mary's friend Ernest Simpson; and even when she has clearly become the Prince of Wales' mistress. Mary's loyalty is unswerving until her own future happiness is on the line. The two story lines go back and forth with little to connect them until the end of the novel. Each of the two separate stories is told in third person limited, meaning that the reader sees Alex and how Rachel feels about their fraying connection only from her perspective and sees the scandalous but captivating Wallis through the eyes of Mary, her good friend and staunch defender for so many decades. The historical time line about the eventual Duchess of Windsor is far more interesting than the 1997 story but the latter is completely invented and imagines very little about Princess Diana's life, perhaps in deference to her sons, focusing instead on Rachel and Alex. The details on Wallis Simpson's life are fascinating and well researched and the afterword is clear about which details are culled from research and which are invented to help the story move along. Interestingly, none of the information on either Wallis or Diana contradicts the public perception of them. Diana was a good, kind, and beloved friend while Wallis was a selfish, Nazi-sympathizing social climber. The connection that Paul draws between the two women is a fragile one but it causes the entire novel to not only come together but makes it, retrospectively, go in the first place. Although the bulk of the information about Diana centers on her death and what really happened in the Alma Tunnel that night rather than her life before, during, and after her marriage to Charles, readers who are interested in the royal family will still enjoy this fun novel, especially if they have any interest in the Abdication Crisis and the woman who nearly toppled the British monarchy. 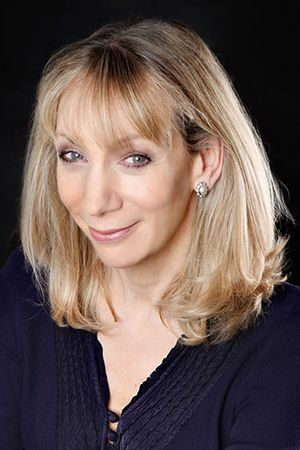 For more information about Gill Paul and the book, check out her webpage, and follow her on Twitter. Check out the book's Goodreads page, follow the rest of the blog tour, or look at the reviews for others' thoughts and opinions on the book. Finding Pax by Kaci Cronkhite. The book is being released by Adlard Coles on September 4, 2018. Amazon says this about the book: Finding Pax is a story of discovery and reconnection like no other. Having fallen hopelessly in love with a 1930s Danish spidsgatter, a beautifully constructed 28 ft wooden double-ender, Kaci Cronkhite embarked on an international search to unravel the mystery of the boat's past, and discovered the many lives Pax touched since she first hit the water in 1936. 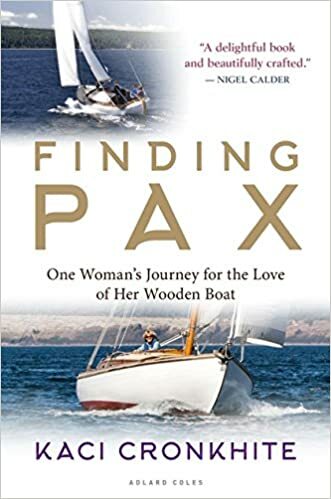 Kaci Cronkhite's seven year search for Pax's history is an elegant little gem, taking the reader aboard not only for sublime, wind-filled sails but also to eavesdrop the conversations and relationships that are built as she learns more about Pax's past, whilst hugely enjoying her present. The writing is poetic, spare, and full of wisdom. "The boat appeared when I didn't expect or, frankly, need her. My bucket list was empty. Life was full…But sailing towards me was a boat that would stir the waters, waking decades of loss, revealing history untold, and restoring a legacy that was lost in the wind. For her and for me, I had to wade into that water. I had to go, to search, to find." 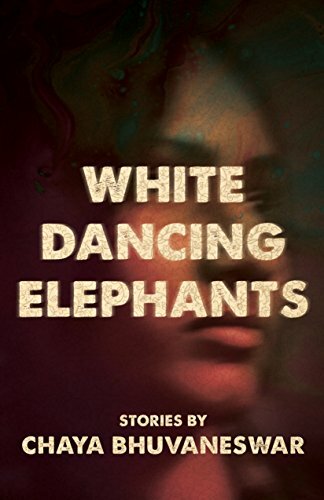 White Dancing Elephants by Chaya Bhuvaneswar came from Dzanc Books. 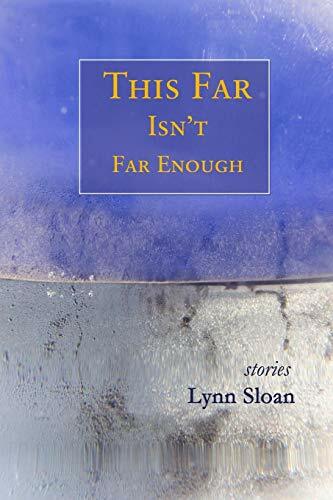 A collection of short stories focused on women of color who face incredible hardships, violence, and racism, this looks really hard but important. 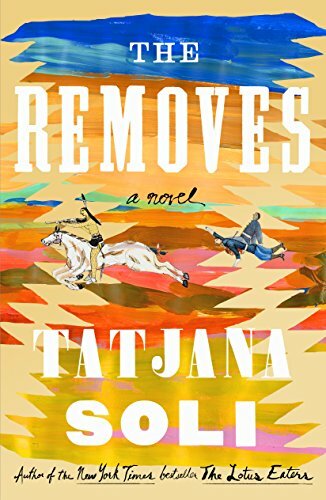 The Removes by Tatjana Soli came from TLC Book Tours and Sarah Crichton Books. I've really enjoyed the previous books by Soli that I've read so I'm looking forward to this one about a teenage girl who survives an attack on her home, becoming a member of the Cheyenne tribe, and Custer's wife, a pampered and sheltered woman turned frontierswoman and camp follower. I reviewed her previous books as well: The Lotus Eaters, The Forgetting Tree, and The Last Good Paradise. 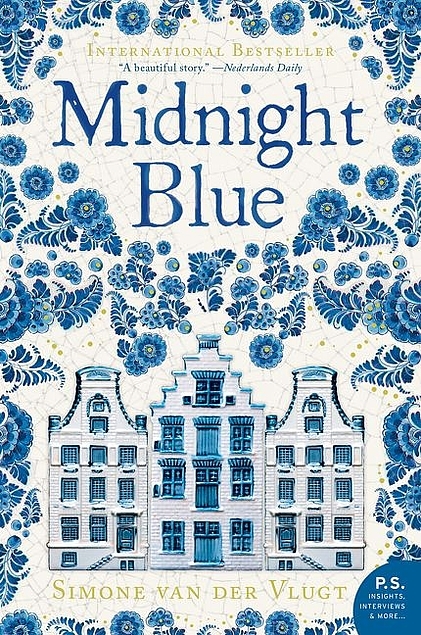 Midnight Blue by Simone van der Vlugt came from TLC Book Tours and Harper Collins. 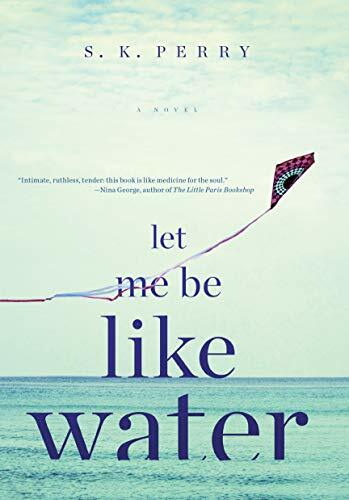 Let Me Be Like Water by S. K. Perry came from TLC Book Tours and Melville House. 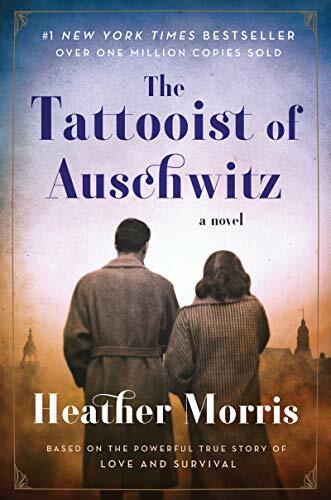 The Tattooist of Auschwitz by Heather Morris came from Harper Paperbacks. A love and survival story from the Holocaust concentration camps, one involving the Jewish man forced to tattoo numbers on his fellow prisoners? This is intriguing for sure. 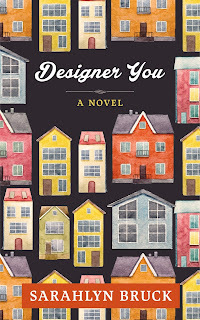 Designer You by Sarahlyn Bruck came from TLC Book Tours and Crooked Cat Books. 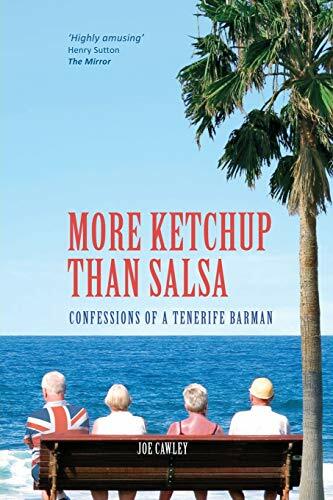 More Ketchup Than Salsa by Joe Cawley came from me for me. Wouldn't you jump at the chance to buy a bar in Tenerife? Well, maybe. I'm glad I can read about it here rather than have to do it myself. 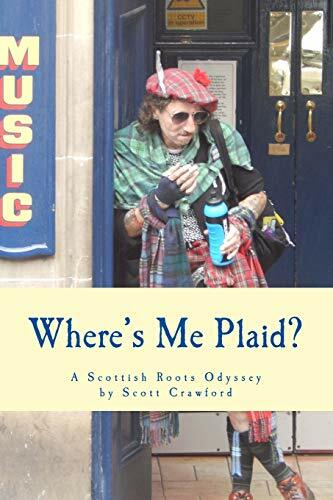 Where's Me Plaid by Scott Crawford came from me for me. How can you pass up a cover with this dude on it? LOL! But I think this search for Scottish roots sounds like it will be a blast. 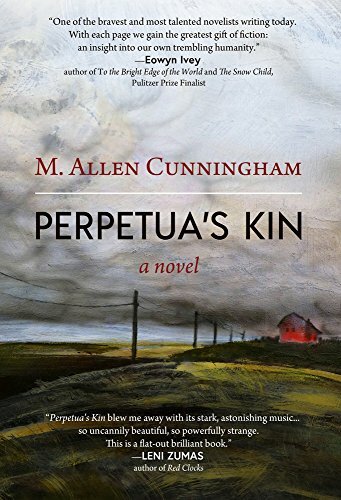 Perpetua's Kin by M. Allen Cunningham came from Atelier 26. The back claims this is a "multi-generational mystery, reworking of Hamlet, and profoundly contemporary exploration of the American experience as one family embodies it." Sounds pretty amazing, right? 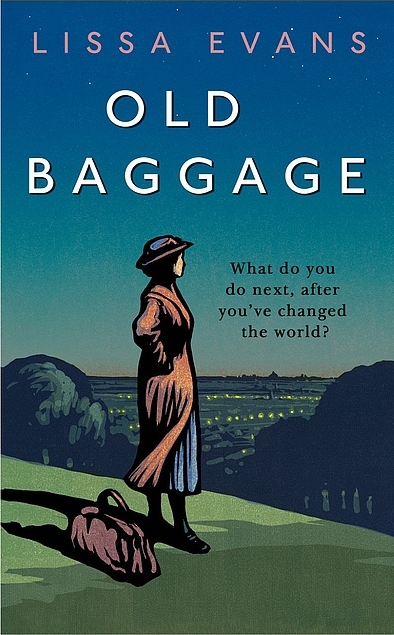 Old Baggage by Lissa Evans came from me for me. Lissa Evans' Crooked Heart was a delight so I am greatly looking forward to this one about a female activist looking for something she can get behind. 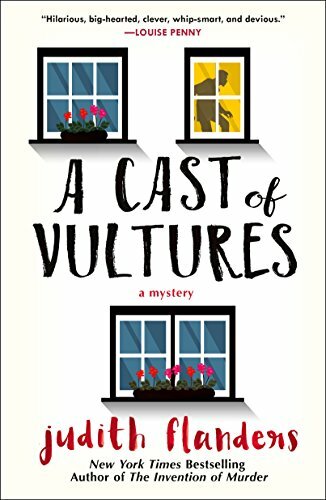 A Cast of Vultures by Judith Flanders came from Minotaur Books. A mystery featuring an editor? Well, heaven knows I can't possibly pass that up! 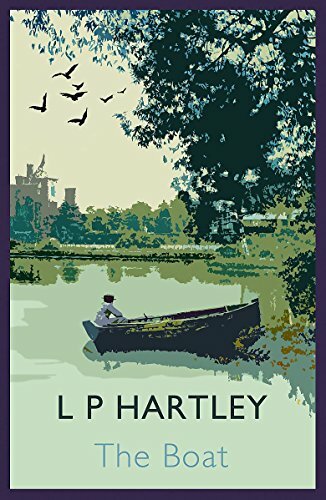 The Boat by L. P. Hartley came from me for me. Congratulations, Who Are You Again? 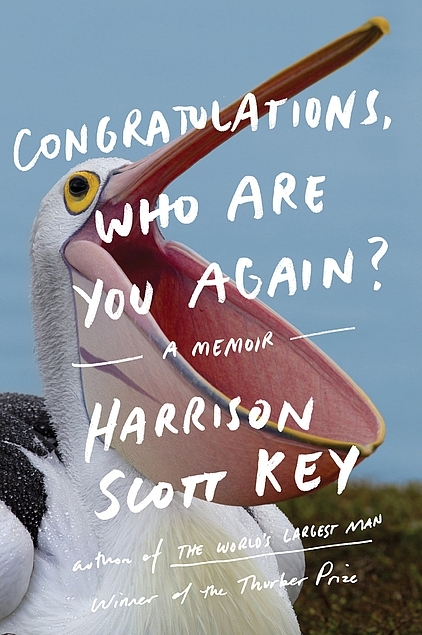 by Harrison Scott Key came from LibraryThing Early Reviewers and Harper Perennial. This is Key's second memoir and this one takes the reader with him on his quest to fulfill his dream of becoming a writer. I can't wait to ride along! Now Let's Dance by Karine Lambert came from me for me. 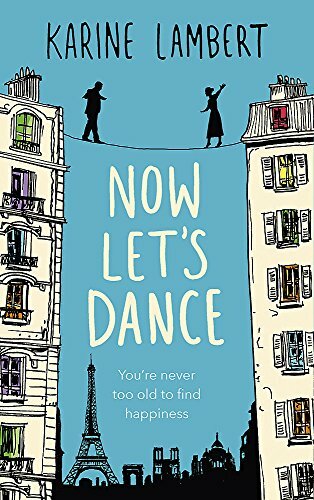 A translation from the French, this novel about two older people, both recently widowed, who meet and have a second chance for happiness and love, looks lovely. 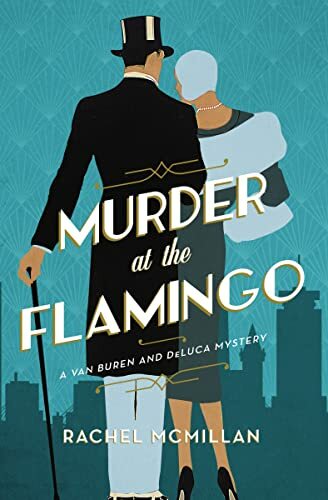 Murder at the Flamingo by Rachel McMillan came from me for me. A mystery set in a 1937 nightclub, this sounds decadent and entirely appealing. Another Woman's Husband by Gill Paul came from TLC Book Tours and William Morrow. A novel imagining a link between Wallis Simpson and Princess Diana? Be still my little royalty loving heart! 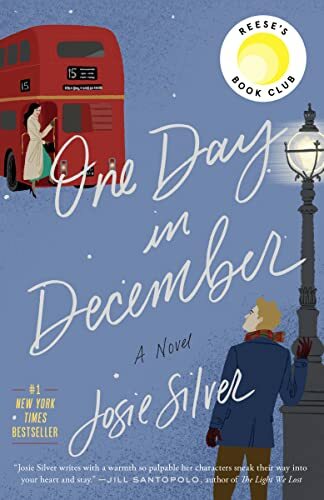 One Day in December by Josie Silver came from TLC Book Tours and Crown. A book about love at first sight that takes ten years, this looks completely delectable. 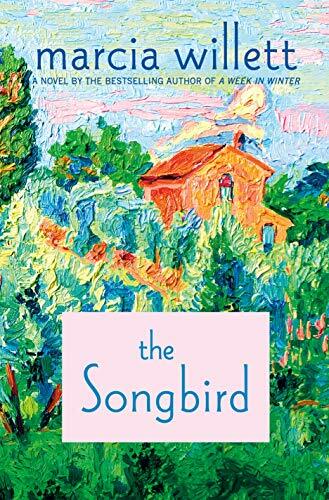 The Songbird by Marcia Willett came from Thomas Dunne Books. A family-by-choice filled, charming country novel, this gives me a warm feeling just looking at it. I'm looking forward to feeling the same way when I read it. 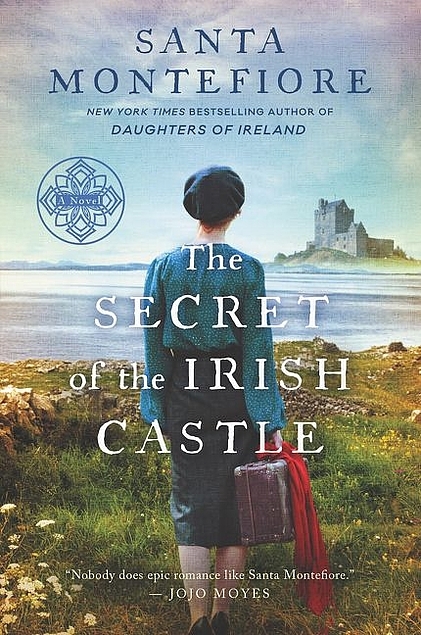 The Secret of the Irish Castle by Santa Montefiore came from TLC Book Tours and William Morrow. The third in the Deverill Chronicles trilogy, I am looking forward to finding out the conclusion to the story. You can read my review of The Girl in the Castle and The Daughters of Ireland to see what the trilogy is all about. 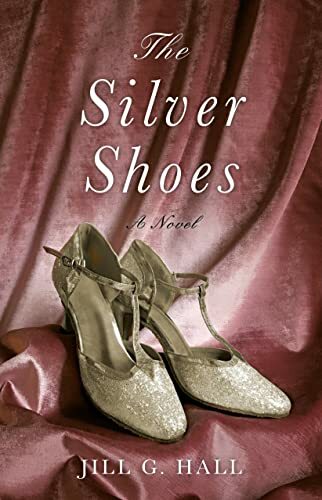 The Silver Shoes by Jill G. Hall came from TLC Book Tours and She Writes Press. A double stranded narrative tied together by a pair of sparkly rhinestone shoes? Oh yes, please! When I see a collection of stories from authors I have read and enjoyed before, I am pretty much guaranteed to want to add it to my collection. 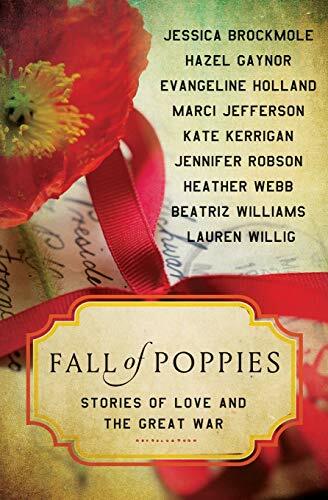 The nine short stories in Fall of Poppies, edited by Heather Webb, are written by authors I have either read and enjoyed before or by popular women's fiction authors who I have in my to be read stacks. So there was definitely no passing it up. That the subtitle of the collection is Stories of Love and the Great War made it just that much more appealing. Each of the stories is short, fleeting but complete. They are from many different perspectives, soldier, mother, widow, lover, wife, giving a rounded view of the aftermath of this war that rocked the world. No one in the western world was untouched by it and Armistice Day, which anchors all of the stories here, was a day of great celebration. Some of the stories are hopeful, telling of love finally winning, and others are heart-wrenching. All of them, though, tell of the need, the struggle, and of how to make a life after the upheaval and horror of war. Each story's main characters have survived, battered, bruised, frightened, or worse, but they are all alive and they all have a strong determination to move forward even as they carry the physical and emotional after effects of the war. Many of the stories feel sepia-toned and carry a sense of melancholy, even those that end happily. Each has the feel of a time long past, of remembrance and memory. The stories are brief but moving and are a great way for a historical fiction reader to try out the authors included here as all are strong entries about love, loss, and the trauma of war. Thanks to LibraryThing Early Reviewers and the publisher for sending me a copy of this book to review. I won this book in a contest years ago but stacked it with all the rest of my cookbooks and didn't really look at it. I mean, it's the 50th anniversary reprinting but it isn't at all like the cookbooks today with glossy, drool inducing pictures and to be honest, since I actually do like to cook, I thought it unlikely there'd be much in here I'd want to cook. But we renovated the kitchen recently (a busted toilet pipe made it a necessity rather than an indulgence) and I went through my cookbooks with the express purpose of actually using them instead of just leaving them to collect dust on the shelves. So I picked this one up and cracked it open. Have you ever actually read a cookbook like a book? This is one to do that with. Peg Bracken is hilarious and she tucks funny little gems all over the book. 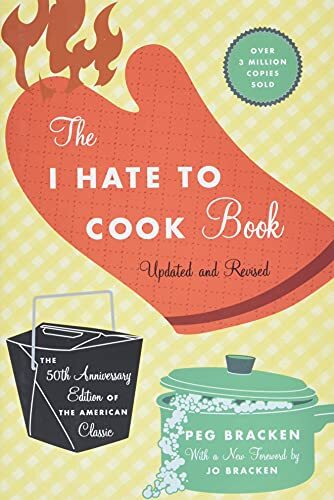 She definitely didn't like to cook and searched out easy and, according to her, tasty recipes for the book but her commentary on everything is pure gold. She is overly fond of mushrooms (which I hate) and some of her ingredients (can you even still buy chipped beef? And if yes, do you want to?) might be less common than they were when the book was published and these recipes clearly pre-date the fresh produce movement, but there are still recipes people who want to spend minimal time in the kitchen will probably thrill to. Since I do like to cook, there are only a handful of recipes I intend to try but I greatly appreciate the entertainment value here. If you hate to cook, you might look to this for easy, fast recipes. If you like to cook, you'll want to read it just for the giggles. The Bread and the Knife by Dawn Drzal. The book is being released by Arcade Publishing on September 4, 2018. 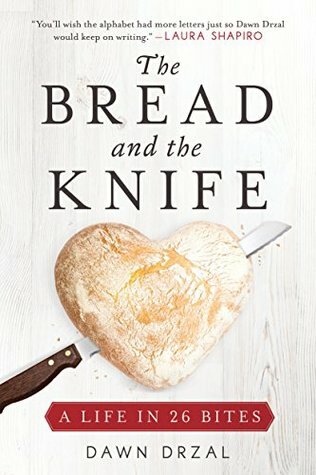 Amazon says this about the book: As it was for M. F. K. Fisher in The Gastronomical Me, food is more than a metaphor in The Bread and the Knife. It is the organizing principle of an existence. Starting with "A Is for Al Dente," the loosely linked chapters evoke an alphabet of food memories that recount a woman’s emotional growth from the challenges of youth to professional accomplishment, marriage, and divorce. Betrayal is embodied in an overripe melon, her awakening in a Béarnaise sauce. Passion fruit juice portends the end of a first marriage, while tarte Tatin offers redemption. Each letter serves up a surprising variation on the struggle for self-knowledge, the joy and pain of familial and romantic love, and food’s astonishing ability to connect us with both the living and the dead. When your life is going along smoothly, you're happy, you enjoy your job, you love your spouse and kids, do you ever worry about something coming crashing down around your ears? Of course not. When life is amazing, there's no room for pessimism, doom and gloom, and worry. At most you probably say "Knock wood" as you grin and continue forward, right? But what if your perfect life screeched to a halt with a terrible tragedy that changed your whole world and made you examine your life in ways you never had before? 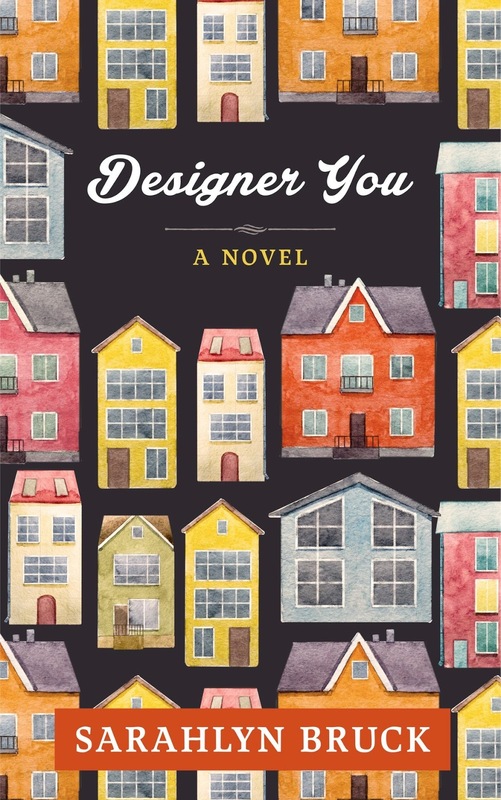 In Sarahlyn Bruck's novel Designer You, this is exactly what happens to main character Pam. Pam and Nate have a moderately famous DIY empire that they've painstakingly built over the course of their happy marriage. They met in college, created this successful business that is a true partnership, have a well-adjusted fifteen year old daughter named Grace, and live in a beautiful, old home in Philadelphia that they rehabbed together. Life is pretty perfect. Until... Pam comes home one day to discover that Nate has fallen off the roof of their home while working on a rooftop deck, a project they were chronicling for their business. Just that suddenly, he's gone. Pam is a forty-four year old widow who now has the weight of the world on her shoulders. 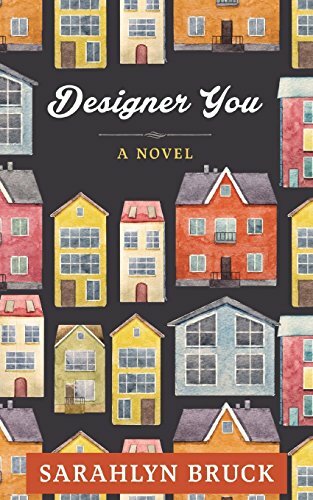 In the numb aftermath of the funeral, she throws herself into making sure that Designer You, the business that was Nate's dream and is her sole source of income, keeps running. She has to do this, partnerless, while also navigating daughter Grace's grief, as well as her own. There's so much for her to learn and so much work keeping her busy, local client projects--from first nail to final polished doorknob, home expos that require travel, the book she has promised her agent, the public and social media faces of the company, and so on, that she feels completely overwhelmed, losing track of Grace (hey, but Pam's parents are staying to help her out with Grace so Grace's needs are being met, right? ), and of her own emotional well being. Life, this new life, is unsustainable and Pam is going to have to step up, make some hard decisions, and discover where her priorities actually are. It is hard as a reader to watch Pam flounder so badly. She is clearly swamped by her grief and can barely hold herself together, never mind a demanding company and a devastated teenager who is acting out. As Pam scrambles to try and keep all of her various plates spinning, it is clear to the reader not only that something has to give but, because of obvious clues sprinkled all through the text, just exactly what part of her life should give. As Pam muddles through the year after Nate's death, tidbits of their life together over the years come out. Rather than contradicting the view of their marriage as a great and strong one, they reinforce it, at the same time making it clear that Pam happily lived for Nate's dreams, never quite knowing what her own path would be outside of those dreams. She wasn't at all unhappy in that but it certainly made her even more at sea once Nate is gone. Because of the third person limited narrative, daughter Grace is fairly unknowable, only presented from Pam's perspective. The reader sees her grieving but, like Pam, not how to help her or steer her away from the poor decisions she is suddenly making. Pam is clearly overwhelmed and the writing about her desperate frenzy to keep the business afloat and her head above water is real and true. Readers who enjoy stories of hard won reinvention, recovery from unexpected loss, and having to embrace Plan B will root for Pam and Grace and cheer them on as they find hope for the future. For more information about Sarahlyn Bruck and the book, check out her webpage, like her on Facebook, and follow her on Twitter or Instagram. Check out the book's Goodreads page, follow the rest of the blog tour, or look at the reviews for others' thoughts and opinions on the book. Thanks to Trish from TLC Book Tours and Crooked Cat Books for sending me a copy of the book for review. When I was in college, I wrote a collection of short stories. They likely weren't very good (and no one read them beyond my advisor, my first reader, and potentially my parents). But they were very much of the write what you know variety and I mined experiences from my own life and from my mother and grandmother's lives to come up with the basis for the stories. 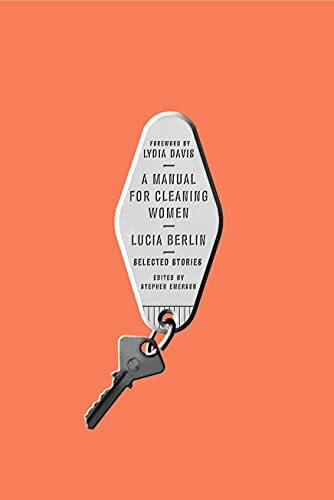 Lucia Berlin also uses her own life and experiences in creating the sort stories that form this collection. Although hers are chock full of autobiographical elements, as were mine, I cannot claim to have the facility with language or sophistication of craft that she does but I hope that mine have a sliver more hope and happiness in them than hers contain. This is a collection of 43 stories, all populated with broken characters. Many are clearly half-autobiographical and several are about the same recurring characters. Even those that are not obviously linked in this way are very similar in theme and tone. The stories are raw, dealing with alcoholism, drug addiction, cancer, death, despair, and loneliness. Berlin doesn't write happy. 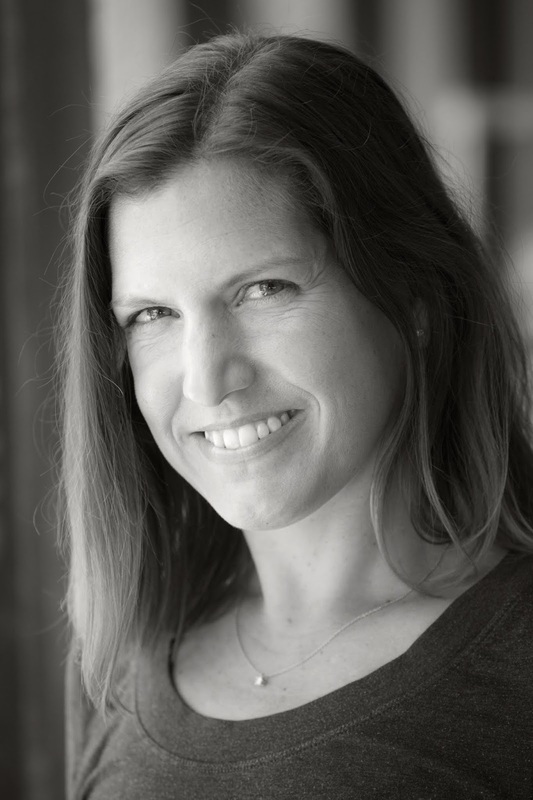 She writes about the disadvantaged, the poor, the overworked, and the floundering. The stories are straightforward and clearly personal. Having so many under one cover highlights the repetition though. They are well written but perhaps a more careful curation would have prevented the fatigue that set in as I pushed further into the book. Short story readers will likely appreciate these as the neglected gems that so many reviewers have labelled them, I just reached a saturation point before I finished (and I did in fact finish). 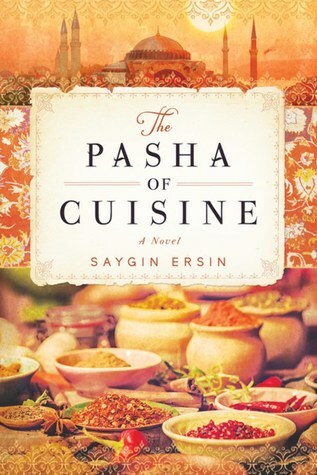 The Pasha of Cuisine by Saygin Ersin. Amazon says this about the book: For readers of Ken Follett's Kingsbridge series and Richard C. Morais's The Hundred-Foot Journey, a sweeping tale of love and the magic of food set during the Ottoman Empire. Himself a survivor of the bloodiest massacre ever recorded within the Imperial Palace after the passing of the last sultan, he is spirited away through the palace kitchens, where his potential was recognized. Across the empire, he is apprenticed one by one to the best chefs in all culinary disciplines and trained in related arts, such as the magic of spices, medicine, and the influence of the stars. It is during his journeys that he finds happiness with the beautiful, fiery dancing girl Kamer, and the two make plans to marry. Before they can elope, Kamer is sold into the Imperial Harem, and the young chef must find his way back into the Imperial Kitchens and transform his gift into an unbeatable weapon. I am most myself near the water. It makes me feel whole. 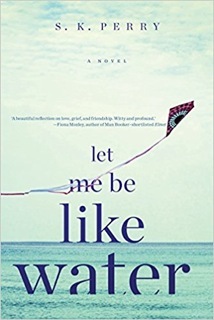 So I am not surprised by Holly, the main character in S. K. Perry's lovely novel Let Me Be Like Water, moving to Brighton by the sea after a terrible and unexpected loss. Water is soothing, comforting. It holds you without pressure. It lets you slip beneath it for quiet solitude but it also buoys you up when you need it. Holly's boyfriend of 5 years has died and she misses him desperately. She moves to Brighton to escape the memories she holds of him and the two of them together in London, thinking that she doesn't need or want to be around people. One day while she is sitting on a bench at the seaside, Frank, a retired magician in his seventies, tells her that she's dropped her keys. Frank is a gentle and encouraging man who has his own past loss, that of his long time partner, Ian. As Holly and Frank become friends, he introduces her to his book club and his other friends, all of whom have their own pain and who have also benefited from Frank's generous magic. Holly opens up to these new people in her life by the smallest degrees, saddened that they will never know the wonderful soul who was Sam. She alternately craves company and then retreats alone into the gaping hole she carries in her heart. And these supportive and empathetic people allow her to grieve with the space she needs but still being there when she needs them. 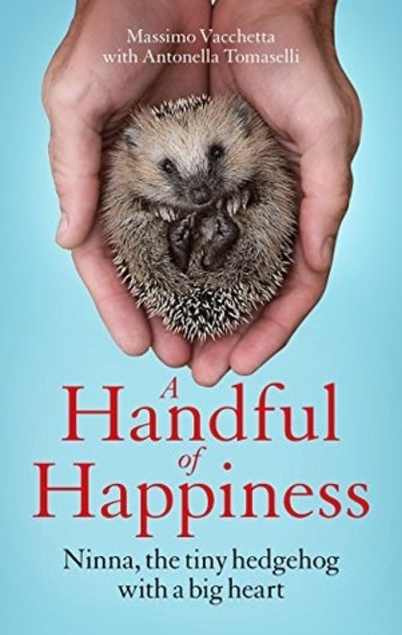 The novel is told in short chapters, some telling of Holly's hollowed out grief and deep sadness, sharing pieces of her relationship with Sam, the wonderful bits as well as the small annoyances that make up a real and honest relationship, and some telling of her attempts to build a life without a vital piece of her heart. Holly's grief is absolutely palpable. She is broken but trying to hold onto hope. She is confused by the times she feels happiness even though she wants to stop being so flattened by loss. She craves connection even though she wants to curl up alone. She will always love Sam but she must keep living. Perry has done a masterful job capturing the capricious unpredictability of grief. Readers will feel great sympathy for Holly, crying with her, understanding, like her, that her bright, forever love ended prematurely. And everyone will want a Frank in their lives, with his gentle understanding, his quiet magic tricks, and his embracing personality. The dreamy first person narration lets the reader know when Holly is completely underwater and when she is keeping her head above the waves. This book is heartbreaking and haunting, a staggeringly beautiful look at loss and grief and moving forward that first year, no matter how slowly that is or how many missteps there might be along the way. For more information about S.K. Perry and the book, check out her webpage and follow her on Twitter. Check out the book's Goodreads page, follow the rest of the blog tour, or look at the reviews for others' thoughts and opinions on the book. Thanks to Lisa from TLC Book Tours and Melville House for sending me a copy of the book for review. Where the Crawdads Sing by Delia Owen. The book is being released by G. P. Putnam's Sons on August 14, 2018. Amazon says this about the book: How long can you protect your heart? As one of two daughters, I am glad that we no longer have to worry about having sons to secure a family legacy. Even Britain has changed the rules of succession so that the little princess is in line for the throne ahead of her younger brother. But this change in attitude is very recent and the change in the rules of succession is even more recent. Until recently, marrying and having sons was a very big deal, both socially and politically. 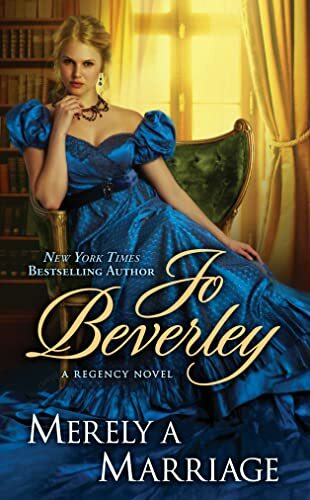 In Jo Beverley’s Merely a Marriage, worry about succession, spurred on by the real-life death of Princess Charlotte in childbirth, drives the plot of this Regency set historical romance. When Princess Charlotte dies, all of England is plunged into mourning. Her death causes many people to suddenly face their own mortality and that of those they love. In Lady Ariana Boxstall’s case, it causes her to worry about the state of her own family. Her brother is as yet unmarried and shows no signs of marrying and setting up his nursery any time soon. She badgers him about shirking his duty to the family name and he retaliates by challenging her to marry first if she thinks it is so very easy. When she concedes that this may be the only way to convince Norris to do as she wishes, she sets out for London with her mother to stay with an old family friend and to find a suitable husband. It is here that she crosses paths with the handsome, single Earl of Kynaston, the man on whom she developed a crush during her come out eight years prior and who inadvertently crushed her heart. As she works her way through her list of acceptable suitors, she cannot escape Kynaston, nor he her. He has no intention of marrying because of something in his past. She must marry to force Norris to the altar. Even though they are working at cross purposes, the attraction sparks hot. Ariana has body image issues, being far taller than is fashionable but she has mostly overcome her humiliation from eight years ago, except where Kynaston is concerned. She is also a curious and knowledgeable young woman whose honesty and cleverness will cause her to come perilously close to scandal and ruin. Kynaston has something in his past that haunts him but since it is generally common knowledge, he feels no reason to explain it to Ariana. It’s not a misunderstanding per se, rather a miscommunication. The two of them are a good pair, both smart and thinking characters who work together to uncover the person maligning Ariana purely out of maliciousness. They are as much intellectual equals as two people driven by lust or love. As usual, Beverley doesn’t disappoint, weaving an interesting plot with likeable characters, and a satisfyingly happy ending. The book is being released by Scribner on August 7, 2018. 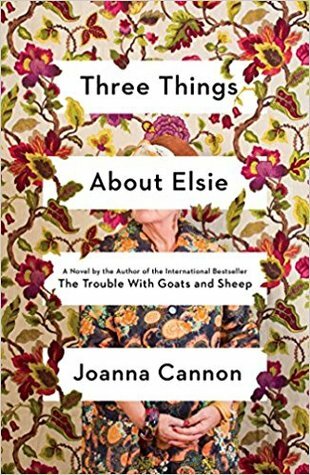 Amazon says this about the book: The bestselling author of the “remarkable…masterfully constructed, pitch-perfect” (Booklist, starred review) debut The Trouble with Goats and Sheep delivers a suspenseful and emotionally satisfying novel about a lifelong friendship, a devastating secret, and the small acts of kindness that bring people together.